Earth (1st: Base Chakra) – Yin Yoga, Walking, Mountains. Water (2e: Pelvic Chakra) – Soft Yang Flows, The Ocean, Swimming in the Turquoise Sea. Fire (3rd Chakra) – Sunsets, Delicious Greek Food, Sunshine. Air (4th Heart Chakra) – Peace, Harmony, Endless Views. Space (5th: Throat Chakra) – Blue Sky, Chanting, Laughter, Freedom. 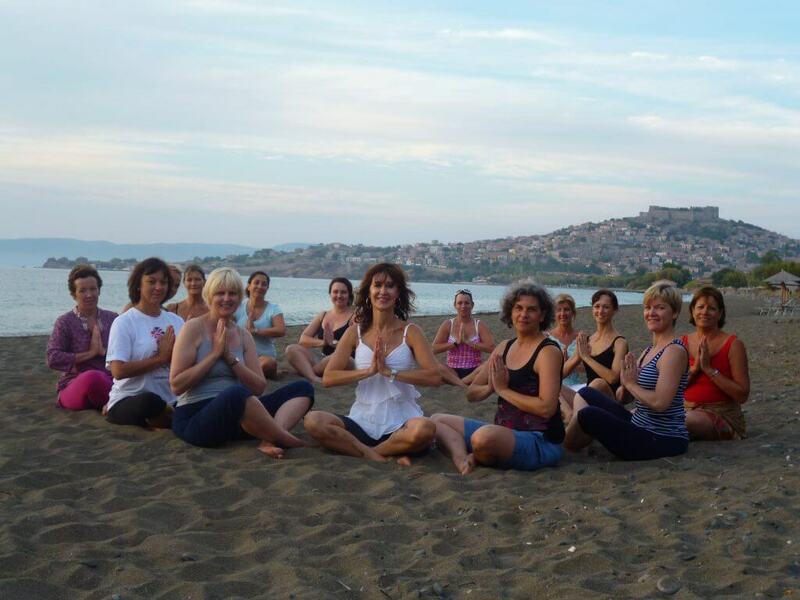 Join Regina on a relaxing and rejuvenating week of yoga on the Island of Lesbos, Greece. 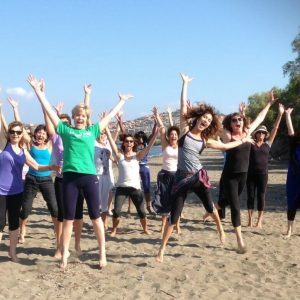 This unforgettable week-long yoga retreat, an opportunity to deepen your practice or discover yoga for the first time in a calm and supportive environment conducive to relaxation, rejuvenation and unwinding. 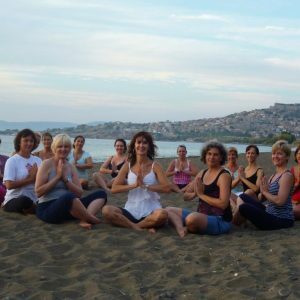 A truly magical island, where you can relax on the beach, swim in the warm sea, strengthen your yoga practice with two classes a day. The perfect time to deepen your awareness with various meditations and breathing techniques. 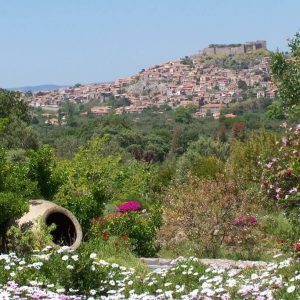 There are traditional villages, a medieval castle, ancient Greek & Roman ruins to see and fabulous nature trails to explore. The locals are most welcoming and proud to share their stunning views of one of the most beautiful harbours in Greece. 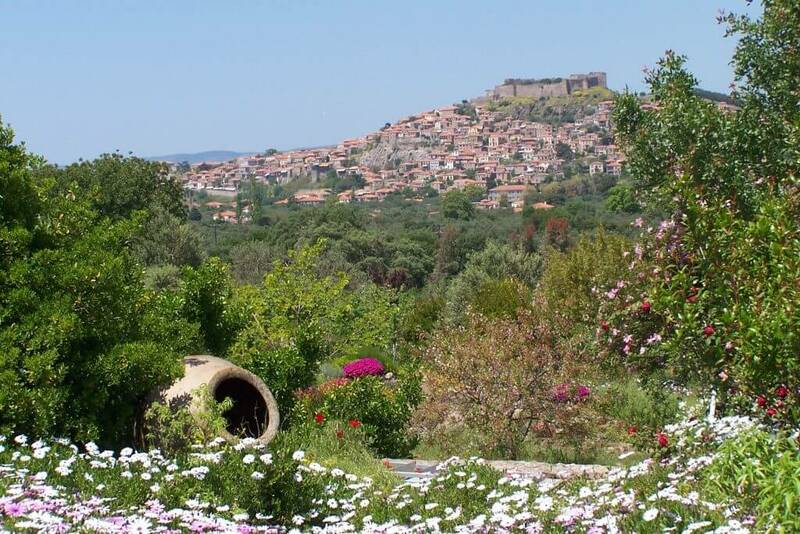 The stone houses surround the castle and feature many excellent cafes, tavernas and shops, but the pace is relaxed and sophisticated. The sea is warm during September, the island is quiet and the weather is balmy, a perfect place to find peace and allow the mind and body to be recharged and revitalised. The Milelja Centre is purpose built and provides extremely comfortable accommodation as well as delicious, locally grown food. Set in terraced gardens, with olive trees and wild flowers, it has a spring water infinity pool with breathtaking views of the crystal blue Aegean sea, within easy walking distance. 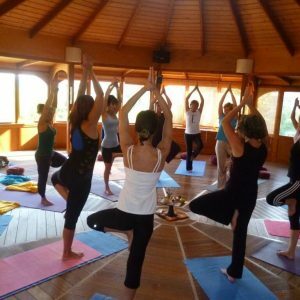 This holiday experience will show you the possibility of extending yogic practices and awareness into your everyday life. 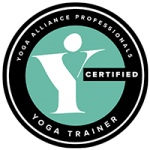 Applying yoga in this way can make your day to day activities more fulfilling and less stressful. 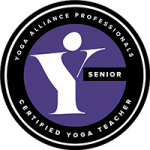 Students of all levels of experience as well as non yogis are welcome. 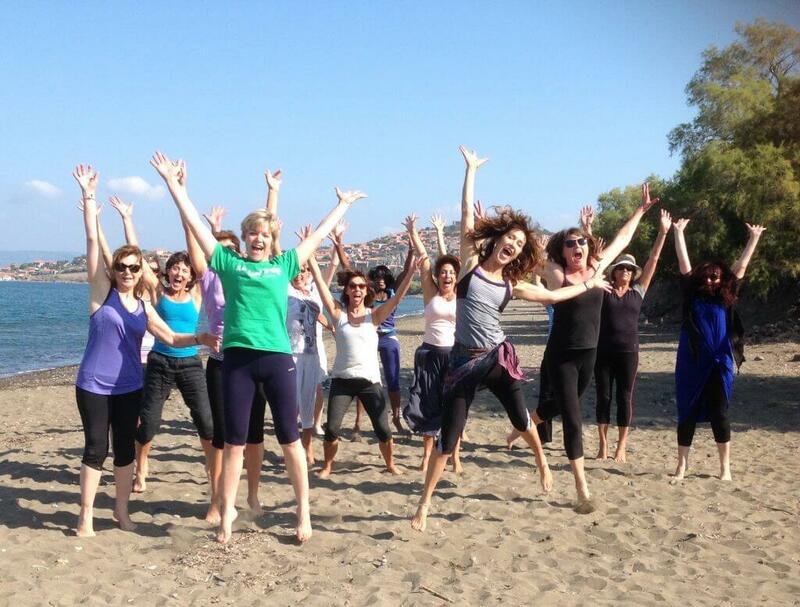 This is an ideal holiday to enjoy on your own or bring a friend, relative or partner. 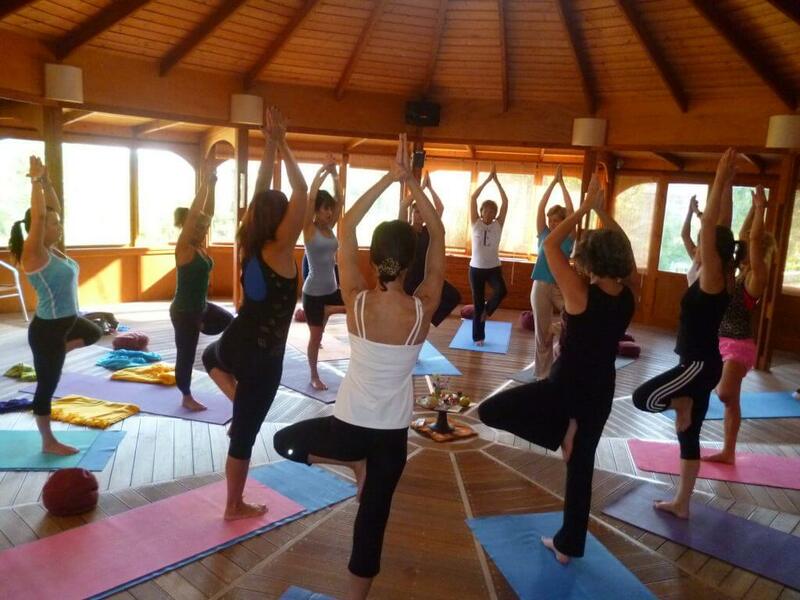 Add £35 per night for single occupancy and take £250 off for non yoga participants. Accommodation based on 2 persons sharing, all yoga, fabulous brunch, unlimited tea, coffee and filtered spring water, bedlinen and bath towels. Flights and airport transfer, evening meals, optional activities and spa treatments and travel insurance. Book your flights as soon as possible to arrive at Mytilene (MJT) airport. Please plan to arrive during the morning of 14th September 2019. A £300 non-refundable deposit is required to secure your booking with the balance due by July 2019.